When you think of your home, the basement is often an afterthought. It’s likely not the first place you choose to spend your time, nor is it the first place you choose to invest in home improvement projects. But there's a reason to change that mentality. 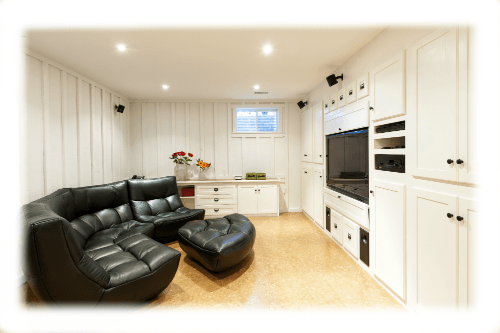 While your basement has been an afterthought in many ways, it’s also been an afterthought in your initiatives to improve your home’s energy efficiency. And that means any improvements you make here stand to have a larger impact on your overall energy usage than improvements made in spaces you’ve already targeted. Look at lighting options. Basements, by nature, are energy inefficient when it comes to lighting. They often have poor natural light, and their low ceilings mean track or halogen pot lighting solutions are a staple. Replace these light bulbs with long-lasting fluorescent bulbs for an inexpensive upgrade. And if you have the money, consider making a larger basement renovation to turn those egress windows into lookout windows. You’ll be surprised how much more time you spend in your basement with its new views. Replace the windows. Like your lighting solutions, the windows in seldom-used areas of your home generally aren't the most energy efficient. Replacing them with energy-efficient alternatives is relatively inexpensive and can even improve your home security--your home will more likely be more resistant to burglars. Finish/insulate your basement walls. If your basement is unfinished, you may be lacking insulation in your basement walls. And if you are, it means the energy you're spending to keep your home nice and warm is being wasted right through your basement. The proper thickness of the insulation in your basement will vary based on where you live, and it’s worth bringing a contractor in to give you an expert opinion on your current insulation levels. If you have any plans to finish your basement, adding insulation should be step number one, as the cost to add insulation increases dramatically once the walls have already been established. Upgrade your appliances. If you have a bathroom or laundry room in the basement, you’ll improve your home’s energy efficiency by upgrading the appliances in these spaces. Replace that old water-guzzling toilet with a new, low-flow option and invest in an ENERGY STAR washer and dryer. The initial cost may be expensive, but you’ll start to see the energy savings immediately. Wrap the water heater. Make a stop in your utility room while on your energy efficiency tour. If you have an electric water heater, wrap it in an insulated jacket and then wrap foam or even a towel around your pipes to preserve their desired temperatures. Your basement may be an afterthought during your average day, but it's hardly ignored when it comes to your energy bill. Fortunately, it's easy to make some immediate improvements to your energy usage in this space with any of the five projects listed above. 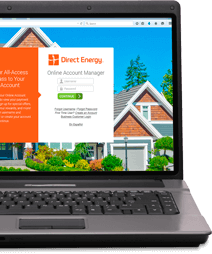 Start the project of your choice today, and you'll see the results month after month when your energy bill arrives.